North Bristol National Health Service (NHS) Trust (NBT) is the first Acute Trust to improve the provision of Compliance Aid Dispensing through a third party dispensing partnership for discharge patients, particularly patients with long term conditions. In accordance with the objectives of the Quality, Innovation, Productivity and Prevention (QIPP) programme, our innovative solution of outsourcing work to a commercial community partner without significant upfront funding has enabled NBT Pharmacy to provide a high quality service and manage a doubling workload within existing budgetary constraints. 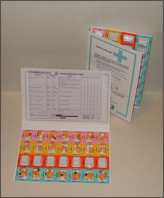 Compliance aids are “Multi compartment compliance aids” (MCAs) often called “blister packs”. They are medicine storage devices that usually contain 7 days of medication and act as a reminder for patients to take their medicines, enabling them to manage their own often complex and confusing drug regimens. We continue to have an ageing population and more people that need supporting in their own homes, so the issue of supplying compliance aids is an increasing one. MCAs can support some patients to remain in their own homes longer, reducing some need for residential care. Providing medication in an unsuitable format leads to patient confusion/medication errors. The National Patient Safety Agency highlights that medication errors can cause harm to patients, and can lead to increased morbidity/mortality, inflated healthcare costs and hospital re-admissions (National Patient Safety 2007; 2009). MCAs also act as a visual prompt for carers, indicating that patients have taken their medicines, or at least removed them from the device. Nationally, the need for compliance aids is increasing, reflecting the ageing population and an increase in complexity and average numbers of drugs taken. Complaints (from GPs, patients and relatives). Various service improvements and actions at NBT did not enable capacity to meet demand. We realised that we could not solve the issue in house and needed to explore outsourcing options. In 2007 NBT became involved in the Safer Patients Initiative (SPI2): 2007 – 2009 and then the Southwest Quality and Patient Safety Improvement programme: 2009 – now Safer Care South-West. The Safer Patients Initiative was a programme developed by the Institute of Healthcare improvement (IHI) and the Health Foundation (HF). 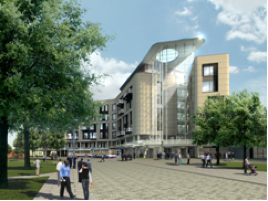 At the end of May 2014 we moved into a new hospital on one site with approximately 850 beds and 27 ward areas. Disability Discrimination legislation (Disability Discrimination Act 1995; 2005 - Equality Act 2010) requires that pharmacists and dispensing practices should make “reasonable adjustments” to enable disabled persons to use their medicines. The National Institute for Health and Clinical Excellence (NICE) clinical guidelines (National Institute for Health and Clinical Excellence 2009) and Cochrane Review (Mahtani et al. 2011) both suggest MCAs may be of value in patients who have been assessed as having practical problems in managing their medicines. Principle 1 - Aim to understand the patient’s experience. Principle 3 – Ensure medicines use is as safe as possible. The second RPS report Improving patient outcomes: the better use of multi-compartment compliance aids (Royal Pharmaceutical Society 2013) is aligned to the principles of medicines optimisation and says that MCAs may be useful as a support system. The NHS England Patient Safety Alert Risks arising from breakdown and failure to act on communication during handover at the time of discharge from secondary care also highlights the importance of medicine use and safety (NHS England 2014). The decision to outsource from NBT’s perspective was primarily patient-focused. We started our work to support patients who needed MCAs back in 1998. At that time, we were not supplying MCAs, but recognised that if medication was not dispensed in suitable containers, then some patients may not be able to manage their medicines, and may have to be re-admitted very quickly. Figure 3 shows how our average monthly workload has continued to grow from 2004 to 2014. Supporting patients to manage medicines at home and reduce some need for residential care. NBT Pharmacy devised a phased and innovative solution that did not require significant upfront funding by outsourcing the work to a commercial community partner – LloydsPharmacy and the wholesaler AAH Pharmaceuticals (parent company Celesio). This evolved from a mixed service of both in-house dispensing and supply through negotiation with community pharmacies, to outsourcing work. We achieved our results with the use of the Model for Improvement and Plan, Do, Study, Act (PDSA) cycles and tests of change on one ward. We established ongoing tests of change with ongoing measurement. We piloted “small tests of change” with a LloydsPharmacy community branch to provide a dispensing service for Southmead Pharmacy against a service level agreement. All prescriptions were clinically screened by an NBT pharmacist before faxing to LloydsPharmacy. Turnaround time ranged from 22–46 hours. Southmead received daily weekday deliveries by a LloydsPharmacy driver. Time was taken to embed practices. The pilot was successful, but demand for this service rapidly exceeded capacity within the branch. Dispensing transferred to the central AAH premises in Bristol (“The Hub”), who sub- contracted dispensing to LloydsPharmacy. Prescriptions from NBT were scanned and emailed to “The Hub”. AAH carried out deliveries via their usual van fleet. The service extended to Frenchay Pharmacy. There was an increase in deliveries, including Saturdays. Southmead Pharmacy continued to pack in house for discharges required at short notice. Skill mix was introduced in the form of Band 4 technicians to release pharmacists’ involvement with the Hub. Regular review meetings were held to discuss progress and developments. The outsourcing was further enhanced by the introduction of a “Golden Patient” service, which enabled a same day turnaround of 4.5 hours (Reserved for short stay wards only). Compliance aid data is collated on a monthly basis eg workload, dispensing/delivery errors, wastage of medication. Wastage is a fine balance between dispensing in a timely fashion to avoid delaying discharge versus the possibility of medication changes. We managed a 300 percent increase in demand. For our efforts to improve the use of compliance aids and promote safety in medicine use, we have been shortlisted finalists for several awards, including: finalists for the Health Service Journal (HSJ) Awards 2014; Finalists for the HSJ Value in Healthcare Awards 2014; Finalists for the Alliance Healthcare Pharmacy Awards 2011. NBT has developed an innovative and mutually beneficial partnership between an Acute Trust and a commercial pharmacy provider to deliver a high quality patient-focused service for our patients, particularly for patients with long-term conditions, resulting in the successful management of increasing demand for compliance aids. Improved staff morale, reflecting smoother operational processes and reduction in complaints. The increasing demand for compliance aids is an issue for Trusts nationally, and we feel strongly that our successful outsourcing initiative can be used in other Acute Trusts to improve practice and effectively manage the increasing demand for compliance aids in accordance with QIPP. In Everyone Counts: Planning for Patients 2013/14, Sir Bruce Keogh, National Medical Director of NHS England highlighted seven-day services across the NHS over the next three years (NHS England 2013). The new 7-day working approach is being adopted by NBT and the Hub is reviewing provision of a Sunday/ Bank holiday service. In house, we are now looking at using band 3 technicians with the band 4 technicians. We will also be liaising across Bristol and North Somerset to review and re-launch our assessment tool currently referenced on the RPS website. We acknowledge NBT team members Andrew Davies, Director of Pharmacy; Val Giltrow-Tyler, Senior Pharmacist (IT), Jan Kenington, Senior Technician (Procurement Lead), Pharmacy Invoicing Team; Pharmacy Procurement, Pharmacy Home Care Delivery and Pharmacy Compliance Team (Band 3s, 4s + 5s) Lloyds Hub Team (Mike Hon, Hub Manager, LloydsPharmacy); AAH Pharmaceuticals Ltd and Celesio Hub Support Teams and Senior Leads: Andrew Morris, Head of Hospitals, AAH and Andrew Davies, Director of Pharmacy, NBT. Disability Discrimination Act 1995 (c.50). London: The Stationery Office. Disability Discrimination Act 2005 (c.13). London: The Stationery Office. Equality Act (DEA) 2010. (c.15). London: The Stationery Office. Mahtani KR, Heneghan CJ, Glasziou PP et al. (2011) Reminder packaging for improving adherence to self-administered long-term medications. Cochrane Database Syst Rev, 9: CD005025.